he would be a great player to target with a purchased late 2nd round pick. When did the Mo Wagner workout happen? Was there any news about how it went? Ooh, they worked out Tryggvi?? He’s one of my top targets for a draft and stash with a late 2nd, should we buy one. I really don’t think Mo can handle the NBA. His defense is flat-out unplayable at the NBA level right now. He doesn’t have enough lateral mobility to handle perimeter switches well, and his post technique is quite poor also. He can’t help but commit reach in fouls. If we traded out of the first, say with Philly for multiple of their seconds, I’d be okay with it, as his offensive talent is worth a gamble at some point. Just not in the 1st round. That pick needs to at least be able to fit into the end of the rotation as a rookie. Tryggvi, a tantalizing Icelandic prospect that I've been following ever since he got drafted to Valenica. This guy has some raw, but high skill set. Very mobile, agile, and great hands. He is certainly worth buying a 2nd rounder, as he can be immediately drafted/stashed elsewhere, and can develop quickly. 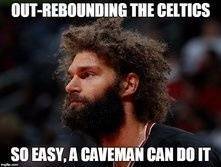 He isn't like Iverson, or Perkins where he is just a lumbering big. He has very high IQ, and soft touch. He led the tournament in blocks and efficiency, while coming in third in rebounds and seventh in scoring. Tryggvi became only the third 7-footer in the 21st century to average at least 14 points, 3 blocks, and 2 assists per 40 minutes at the European U-20s, after former NBA player Andris Biedriņš and 2017 NBA draft pick Anžejs Pasečņiks. 2nd round targets Tryggvi ( he's huge! 7'1" 260lbs) and Bonga! Mo is strictly a one way player at this point. I like Bonga, but I don't like Tryggvi. He doesn't seem to have the reach to be a solid rim protector or having skills to make up for that. The youtube-highlights from Bonga are very interesting. Especially his passing ability would make him an instant upgrade over Nader I would assume (I know he'll probably be stashed). I would be pleased with the 27th pick to take Mitchell Robinson or Isaac Bonga. I doubt DiVincenzo will be available at that point. Also I was bored, so I tried to look for correlation between physical profiles from previous NBA combines and relative draft success. According to my little analysis there's a very good chance that Bates Diop and Okogie will outperform their draft position. However I don't really see a role on this Celtics' team for either player. On a side note, if the Lakers don't pick up his team option and we don't get a big man in the draft, we should try to sign Thomas Bryant. My model suggests he's a capable NBA player. So what you're saying is Mo Wagner...Mo (defensive) problems *groan*? I've been listening to a bunch of draft class podcasts recently. Can't recall who said it but they said Bamba looks like a combination of Gobert and Myles Turner. Unfortunately, it was Gobert's offense and Turner's defense. Well, I looked at the list....22 guys, one center and Bamba who's lottery....three or four small forwards and every low cost SG/PG you can dream of. This process has Danny Ainge's fingers all over it...18 guards and he'll probably trade out of 27. All I can say is it's lucky he's one of the better sports executives of all time or I'd be livid. It's hard to tell with Tryggvi due to competition. He looks like he can pass and has soft hands and runs the floor pretty well for a guy that big. He has tree trunk legs and he's only 20. There are some teams that we could use size against but he is a project. I would like to see what he could do against the Tristan Thompson's of the league.